David Magliano MBE is the Former London 2012 Director of Marketing and Director of Commercial and Marketing at England 2018. David was Director of Commercial and Marketing at England 2018, the organisation bidding for England to host the 2018 Football World Cup. He was responsible for building UK public support and presenting England’s plans to FIFA. Previously, David Magliano was Director of Marketing for London 2012, where he was responsible for building UK public support and presenting London’s bid to the International Olympic Committee. David masterminded the crucial London 2012 presentation in Singapore before the final decision. This race has been described as the fiercest competitive pitch of all time. Before London 2012, David was Sales and Marketing Director of two low-cost airlines – easyJet and Go (of which he was a founder, and was part of the management buyout from BA). Following the management buyout his marketing strategies contributed to increasing Go’s value from £100m to £400m in just nine months. David then helped lead the sale of Go to easyJet, and manage the integration of the two airlines. He was responsible for 400 people, annual revenues of £1billion and a marketing budget of £60m across 13 European countries. 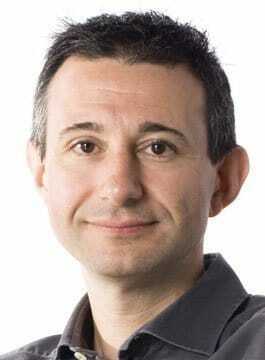 David Magliano is the only person to have been named UK Marketer of the Year twice (1999 and 2005). In September 2006 Advertising Age named David “Global CMO of the Year”. He was awarded an MBE in 2006. David Magliano is a non-executive director of Glasses Direct and a former non-executive director of Dyson.